One of Florida's finest estates. A hidden gem on Sarasota Bay. 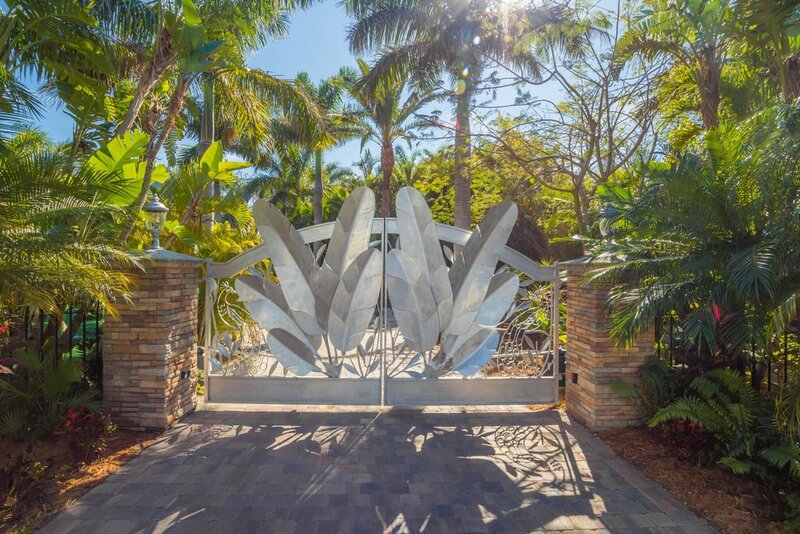 This 1-Acre property boasts 120 feet of waterfront, a magnificent home, pool, three auxiliary living spaces, a workshop and some of the finest landscaping and custom craftsmanship you will ever see. The estate is simply beyond comparison. There is nothing else like it. Expansive south-facing views. Sleeps 20 easily and comfortably and lives like a small resort. Incredible rental potential in highly desirable seasonal location. The most magnificent wedding venue, family estate or corporate retreat property. Completely handicapped accessible with elevator to all levels and absolute paradise for serious boaters or fishermen. Park up to a fifty-five foot yacht on the dock. As long as draft is 4 feet or less, there are no tidal restrictions to the intracoastal waterway or the Gulf of Mexico. Pedestal has 30Amp/50Amp/120V power, water, and cable. Provisions have already been made for a float or amphibian aircraft. As you may imagine, the property is quite unique with too many details to mention. You will leave saying "I have never seen a home like this before." Under the portico grand, double doors open wide to the foyer of the Principal Residence. 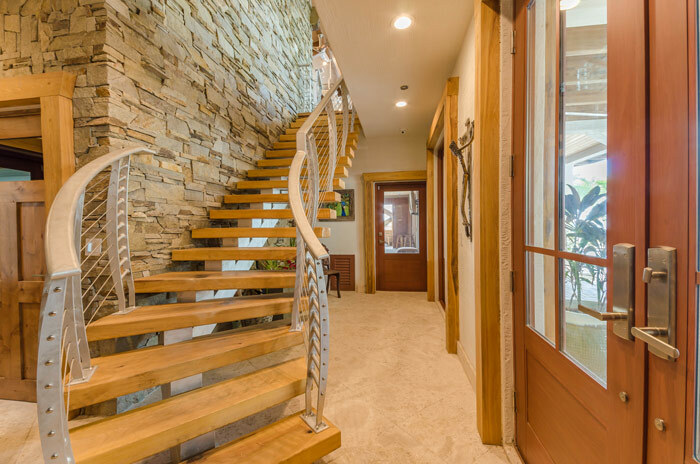 You'll be greeted by a one of a kind, work of art staircase. A hand crafted masterpiece. The kitchen features a dry-stacked stone range with a Sub-Zero & Wolf appliance package, beautiful imported granite countertops, a full bar with dual-pony kegerator, and a cozy breakfast nook. Inviting, sophisticated, bright and light. Take in one of the greatest south-facing, panoramic views in all of Florida. Entertain guests or sit by the wood burning fireplace and relax. Old Chicago weathered brick, wood and gas fireplace, smart home command center, and outdoor shower on your private deck. Separate steam shower and tub, walk-in closet, safe room, and more. The second master suite is located in its own private corner of the main level. 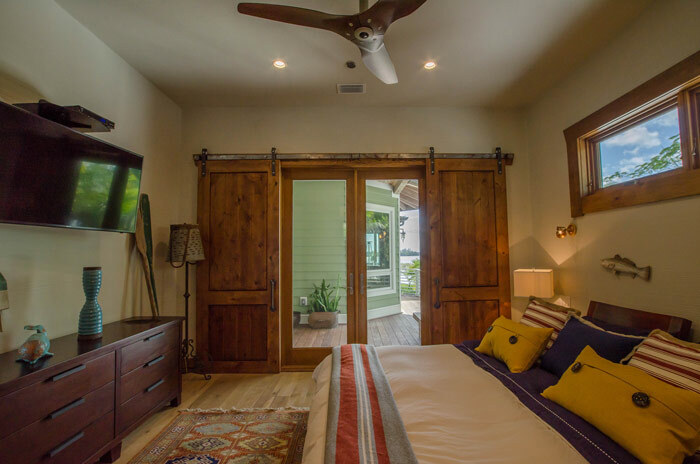 It is adorned by beautiful alder wood barn doors with access to the main deck and exceptional views. Access this unique space adjacent to the office via the custom spiral staircase or elevator. 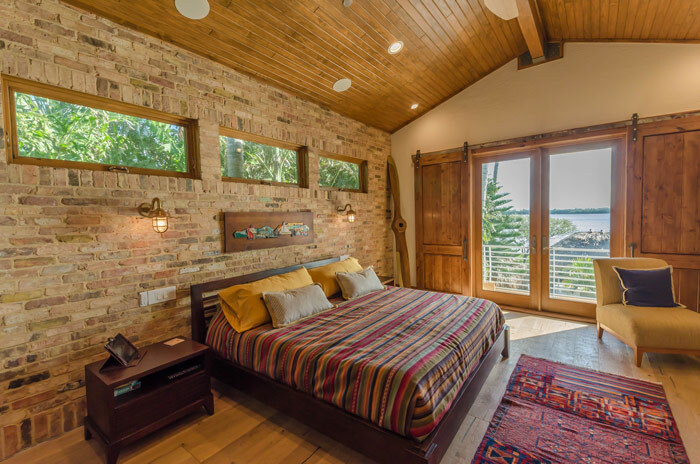 Vaulted wooden ceilings complete with arched beams accent a walk-out, 360 degree, private balcony. It doesn't feel like work with the picturesque views of Sarasota Bay bringing a calming influence to any endeavor. Step out onto your Brazilian hardwood deck, pour a beer from your one-of-a-kind outdoor kitchen, and take in the view. Semi-detached from the primary residence but connected with the main level via deck. Apartment has elevator access, separate kitchen, full bath, and studio living space. The original home on the property now redone into a separate 1.5 BEDROOM, 1 BATH cottage with amazing studio space that includes office nook, Murphy bed, entertainment center, and kitchen. Unique 3-story building with living spaces on two levels (2 BEDROOM, 2 BATH). Hand crafted cypress finishes, full kitchen, and over 550 SF of IPE decking. Must be seen to be fully appreciated. The 1 Acre property boasts several hundred mature trees, a spectacular heated pool and hot-tub, bocce court, golf training center, 120' of beautiful waterfront with boat lift and much, much more. Photography and Video by Vidsmart. Website by JP Design.